One of the first habits I started when I first joined your ‘programme’ two months ago was the bed making habit. I hadn’t bothered to make my bed for about 6 years. Partly because, working full time and looking after a person with very high needs full time too meant that I rarely got enough sleep, so making my bed seemed like a waste of time. But I started doing it, and somehow it has really blessed me. It seems such a treat to get into a made bed and it inspires me to keep the rest of the room clear too – there has been a huge pile of clothes i couldn’t be bothered to hang up on the chair in there for years too. Yet, since I have made my bed the clothes pile has disappeared totally. When i go in that room, I feel blessed by how nice it all is – every single time! If anyone else is thinking they can’t be bothered, please BOTHER! It really is worth it! thank you FlyLady! 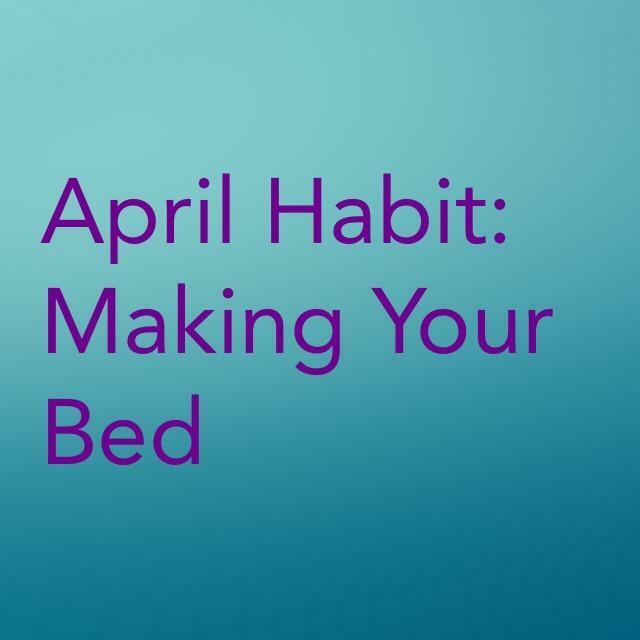 This entry was posted in Habit of the Month and tagged behavior modification, flylady, get organized, Habit of the Month, Make the bed. Bookmark the permalink.